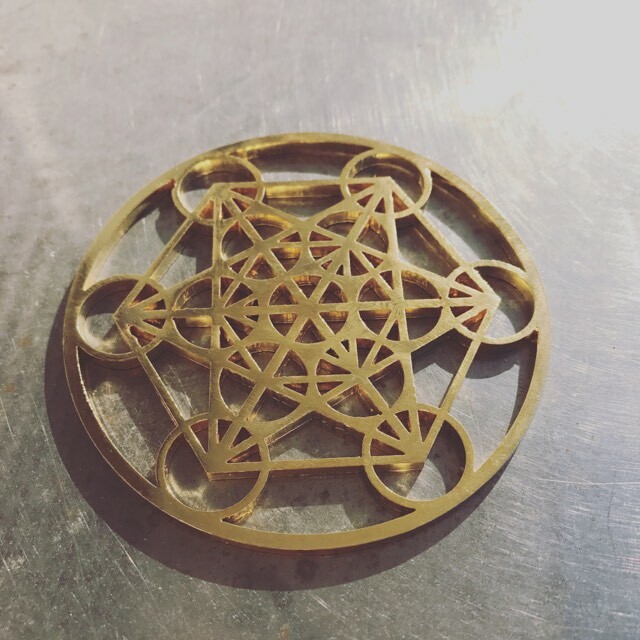 Metatron’s Cube Tool is a 3.3 inch (8,5 cm) diameter handcrafted Tool that is Gold 24k plated. 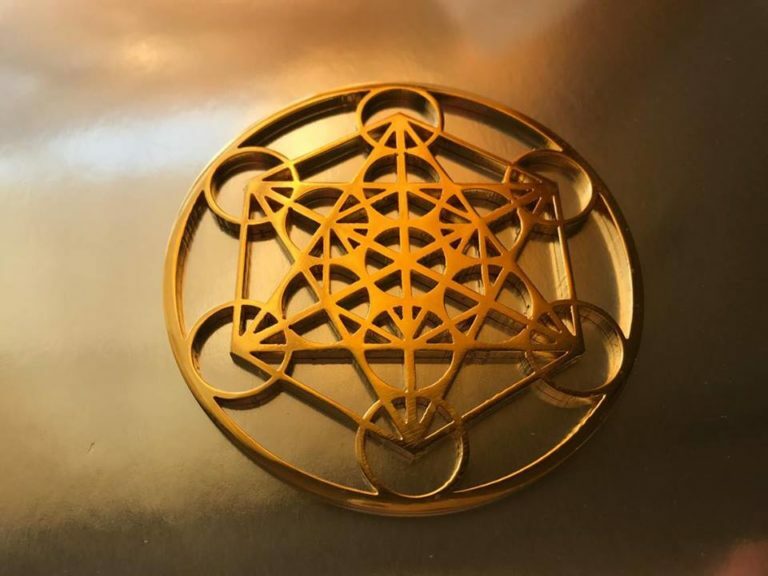 In sacred geometry, Archangel Metatron, the angel of life oversees the flow of energy in a mystical cube known as Metatron’s Cube, which contains all of the geometric shapes in God’s creation and represents the patterns that make up everything God has made. 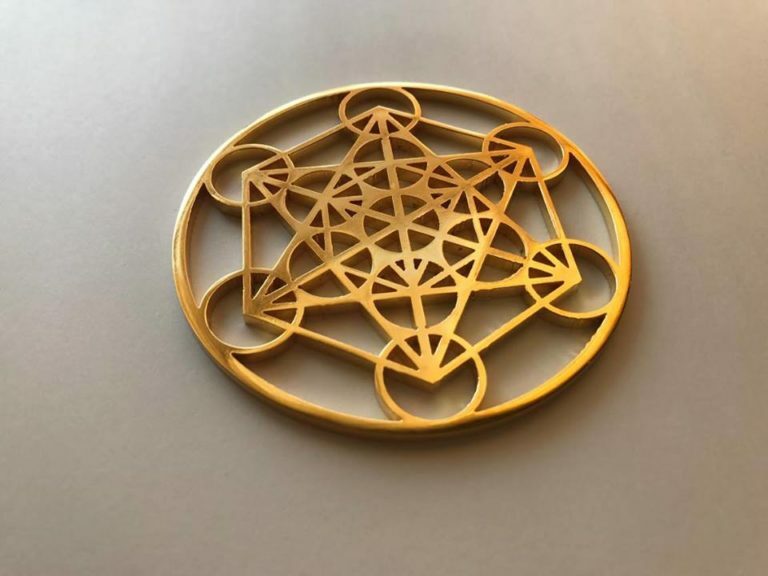 Metatron’s Cube is the name given to a complex three-dimensional geometric symbol made from 13 circles of the same size, with lines extending from the center of every circle to the center of all the other twelve circles. 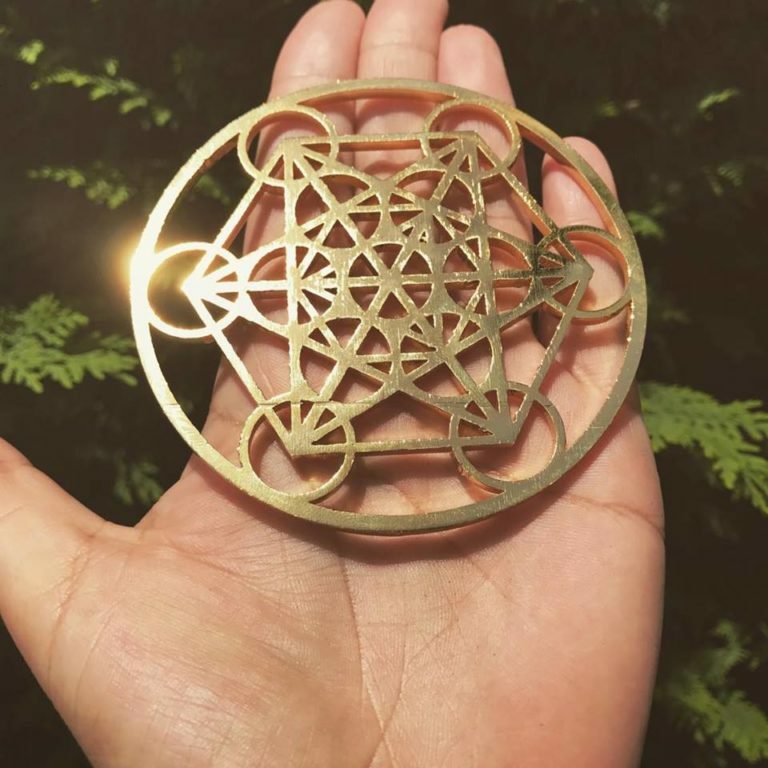 It is considered a geometric variant of the ‘Fruit of Life’ symbol that is, in turn, derived from the Flower of Life, the powerful Sacred Geometry which hold all the patterns of creation. 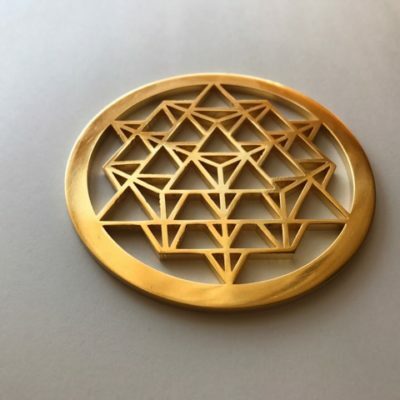 The spheres of Metatron’s Cube represent the ‘Feminine’ whilst the straight lines represent the ‘Masculine’. 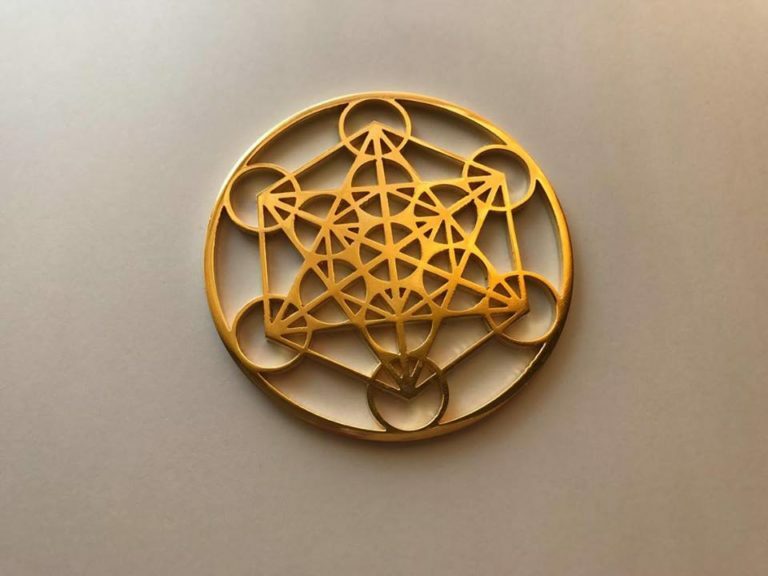 Thus Metatron’s Cube represents the weaving together of the Male & Female polarities to create the ONENESS field of the infinite ALL. Metatron’s Cube contains all possible models of reality and creation. It is used to open our consciousness to higher levels of existence. The concentration on its structure allows the display of five three-dimensional geometric forms, known as the “Platonic Solids”: the tetrahedron, the cube, the octahedron, the dodecahedron and the icosahedron. The five Platonic Solids are regarded as the building blocks of the universe and equated with the five elements with which everything is made – fire, earth, air, ether and water. 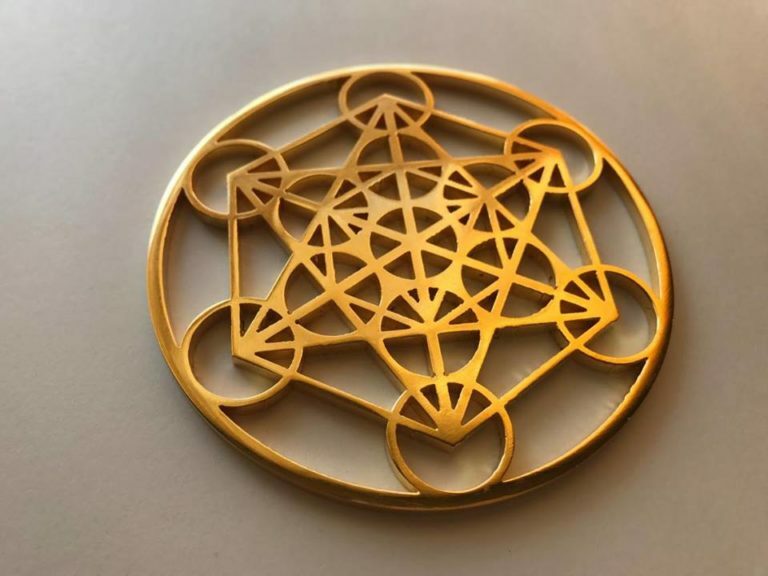 Metatron’s Cube Tool helps us reconnect with the vibrational energy codes that assist healing on multiple levels and the balance of the human body sending us high frequency light from the higher dimensions of existence. These higher photons are used to accelerate the ascension process, stimulating our evolution. 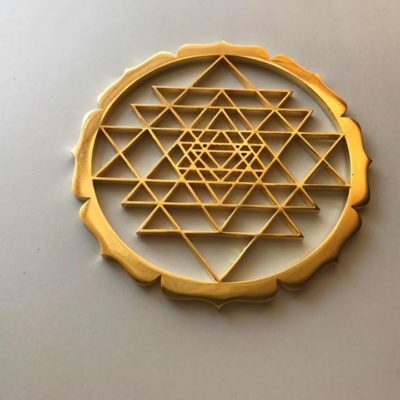 This Tool can be used for meditations that promote peace and balance. It is perfect Tool for healing and clearing away lower energies.